I confess: one of the areas I overlooked at the onset of my food forest were the nitrogen-fixing support plants. I've definitely been paying for it. The middle of the food forest is pretty lousy soil, as is the Eastern half. I should have planted a ton of support plants before adding my fruit trees - or at least concurrently with them - but I didn't. I got caught up in adding the fun stuff and have been playing catch up ever since. That puppy came from fellow plant geek Oliver Moore. He's got some pretty cool plants in his collection and when he offered to sell me some potted Enterolobiums at $3 each, how could I refuse picking up a half-dozen? Want to see what a big one looks like? Click here. They're amazing. Obviously I can't let them get that big in my food forest. They, like the other nitrogen fixers, are mostly chop-and-drop plants that will add both mulch above the soil and nitrogen below as I aggressively cut them back every year. I've had the top of it freeze a few times but it's been coming back from below. 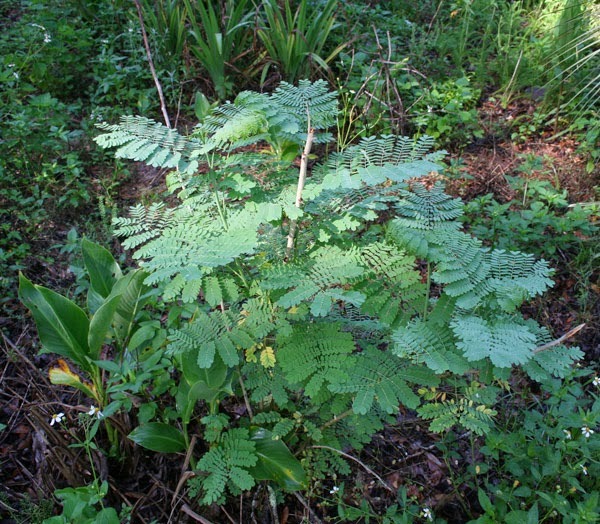 The royal poinciana is a wonderful and beautiful tree but it's a true tropical that can't take the cold up here. I'm wondering if it will keep living or kick off eventually. I would really dig it if it grew enough to bloom one year. 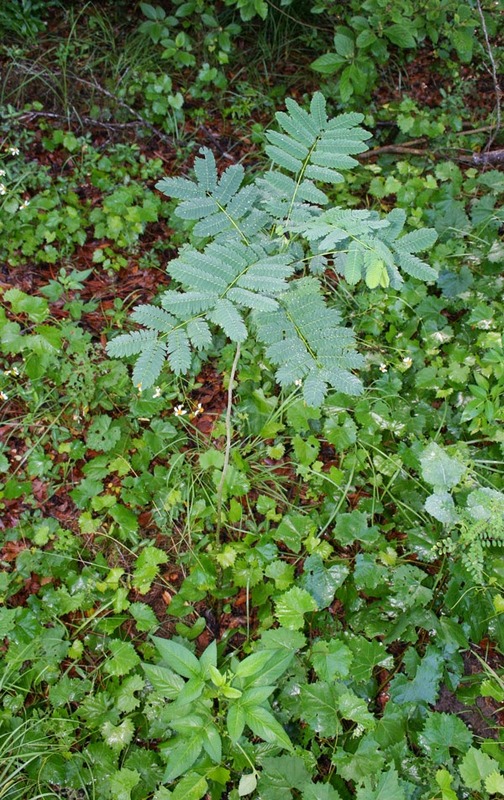 That's a "mimosa tree", one of our common invasives which also happens to be a good nitrogen-fixing tree. Keep them cut back and they won't set seeds. This one is planted next to a Chinese chestnut tree it's feeding every time I whack its top off. 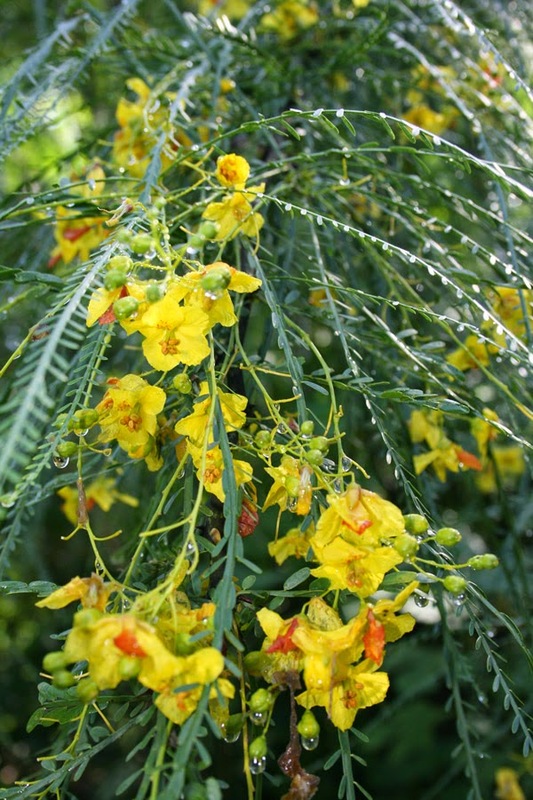 That's a "Christmas cassia," a late-blooming ornamental shrub or small tree which is commonly sold at landscape nurseries. 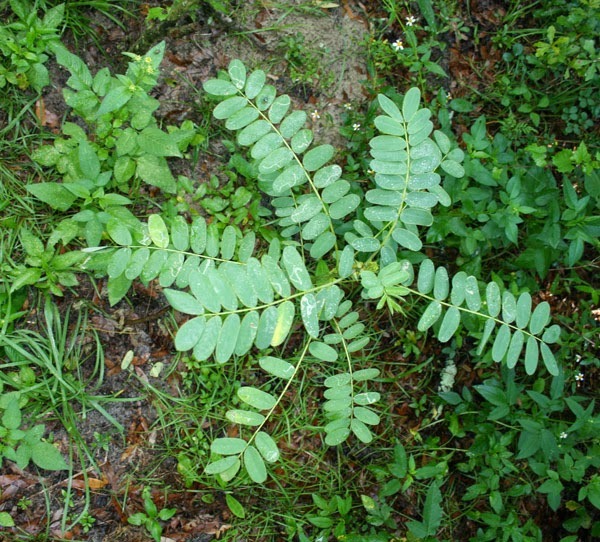 It's fast-growing and a good nitrogen-fixer, particular for small yards and edible landscaping projects where everything is supposed to look good. The tree below is a bit on the weird side, but it's also lovely. That is a Jerusalem thorn in full bloom. The pods or seeds are apparently edible but I've never gotten any. The problem with using this tree as a nitrogen fixer is its incredible thorns and super-hard wood. Cut these branches and drop them on the ground and you're going to hurt someone at some point. It's pretty, though, and works really well in arid conditions where other nitrogen-fixers may not grow. It's also quite attractive. 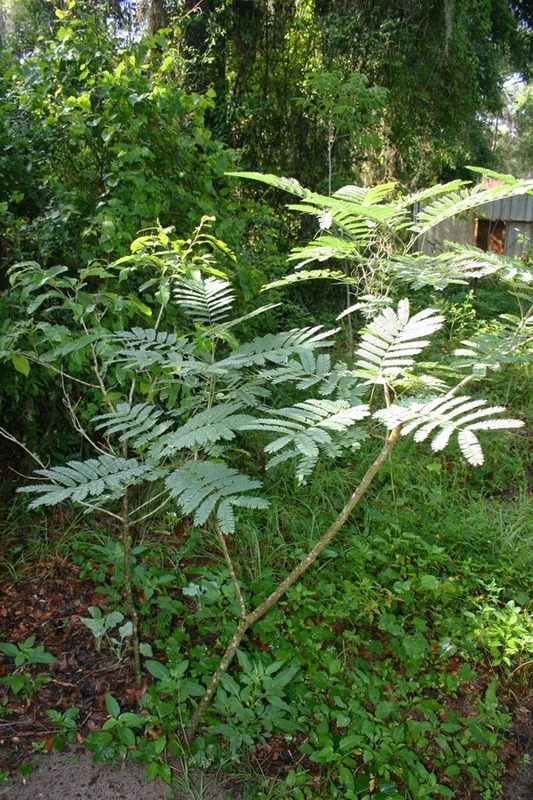 They die back to the ground almost every year when the frosts hit, then return and grow to a few foot tall before setting lovely red flowers that look a lot like miniature royal poinciana flowers. Unfortunately, the tree is somewhat thorny so it's a questionable chop-n-drop. 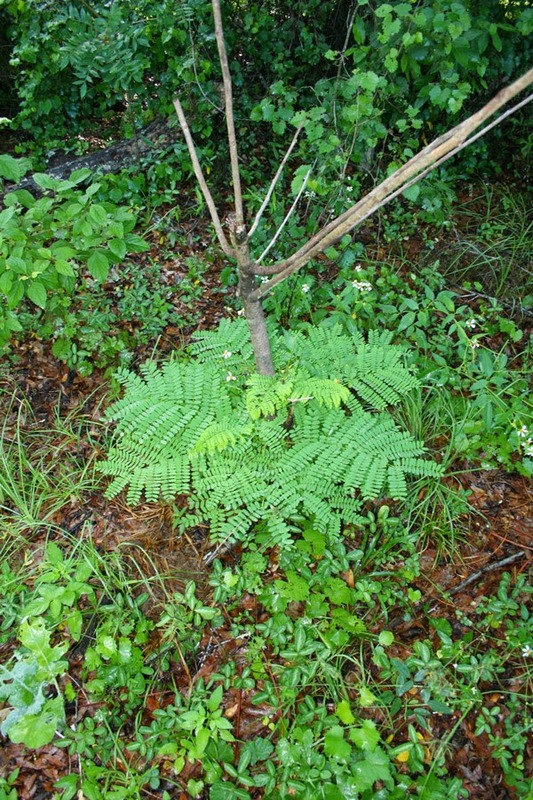 That's a little black locust tree. They fix nitrogen, feed the bees like crazy, plus yield wood that will last for decades in the ground without rotting. It's a perfect fence pole tree for the homestead. I only have one at the moment but hope to start plenty more in the future. Though most nitrogen-fixing trees don't yield anything you can eat, they do add a lot of life to the soil and make things quite a bit easier for your fruit trees. I've got a good list of possibilities in my book Create Your Own Florida Food Forest, which, incidentally, is now on sale for $2.99 as part of the Kindle Select program on Amazon. Don't do like I did. Start with the nitrogen-fixers and mulch plants like Tithonia diversifolia, then plant your fruit trees. Great info... as usual... great way to start the day.... Please , when will the paper copy of your new book be available???? Yes, I am technologically challenged! I would read a book though. My publisher is working on the print edition. Most likely a few months from now. 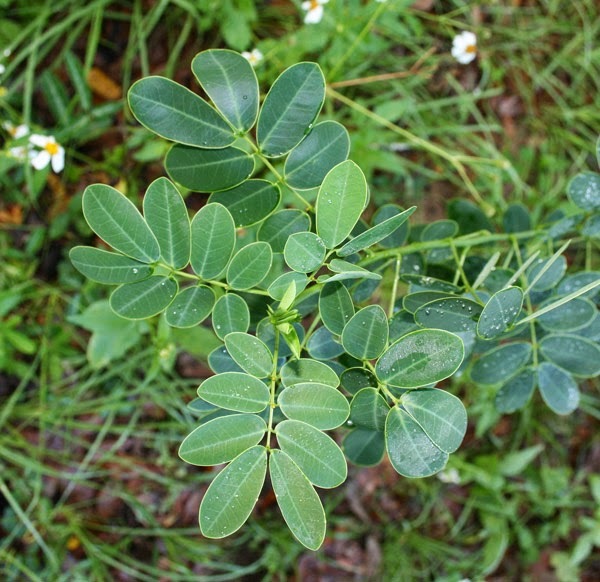 Is there any edible perennials like pigeon peas that you can recommend for nitrogen fixers? I'm sure there must be more perennial bushes and such out there. I'm glad you posted this when you did. I was actually going to ask you about recommended nitrogen fixers to add to the food forest. And I second edible perennials! What about the goumi? I hope you don't mind I shared this post to my permaculture group's FB page. Another nitrogen fixing edible bush I found while researching is Siberian peashrub but unfortunately I'm outside of its recommended growth zones. Don't mind at all - I appreciate the traffic! Share everywhere. Goumis are nitrogen fixers but their growth for me has been quite slow and their yields minimal. Worth experimenting with but not as good a soil-builder in my book. Autumn olives have grown vigorously for me - they're a minor edible. Another one that is edible and fixes nitrogen is mesquite; however, I'm not sure how they'd do here. 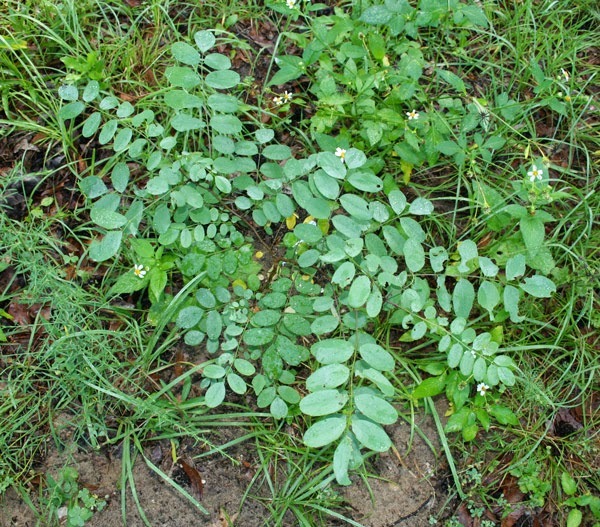 Most of the good nitrogen-fixing edibles for here seem to be annuals: peanuts, lentils, chick peas, fava beans, black-eyed peas, etc. Velvet beans are also a medicinal edible (in small quantities) that do really well. Might be worth trying anyhow.